Sensual Robert Mapplethorpe-esque dreamer characters who have taken tailoring into their own hands and run with it. The proportions and attitude of grey suiting and overcoats are shifted. 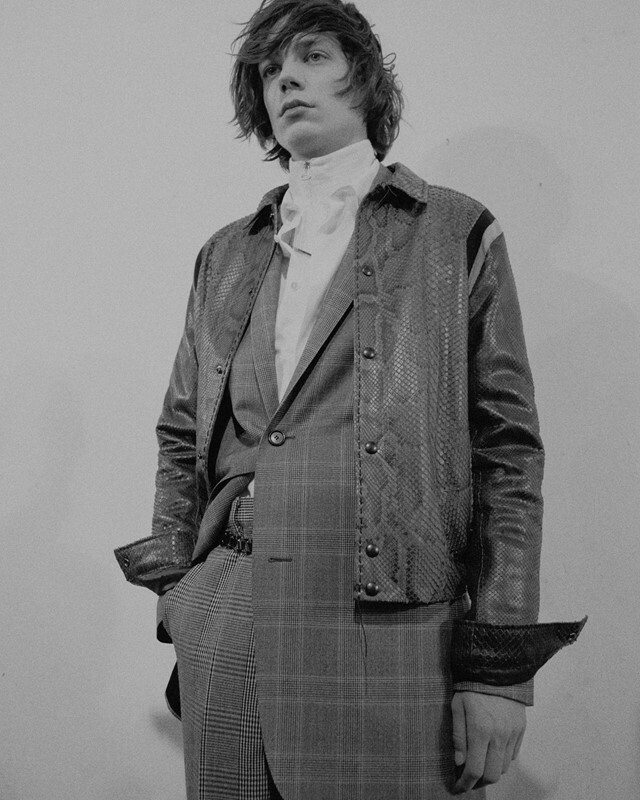 There was a vague whiff of the 70s, seen in the high-waisted trousers and the oversized cuts – an underlying pattern in this season's shows – that, when muted and paired back in a restrained palette, give off the feeling of a luxurious slacker. Backstage, Lucas Ossendrijver admitted he’s somewhere between being a dreamer and a realist, someone who seeks to provoke and be pragmatic. That’s the balance that was struck here. The finale bonded neoprene overcoat – the perfect protective shield against the world – and the opening grey mélange structured jacket, worn sans shirt. The brooding sound of “Science and Industry” by Andy Stott, and “Happy House” by Siouxsie and the Banshees. “The house might not be happy - we live in a strange moment,” remarked Ossendrijver about that particular track.